Looking for Fashion wallet case as a gift or for yourself ? Made of durable PU leather to prevent scratches. It is durable,slim, comfortable,lightweight . Perfect combination of purse and mobile phone case,easy to carry. ❤[Wallet Phone Case] -This wallet phone case only design for 2018 6.5 inch iphone Xs Mas.Please kindly check your iPhone modle before purchase. ❤[Multifunction Wallet Cover] - Detachable phone case design.Perfect combination of purse and mobile phone case.You can carry the phone case with your wallet or you can take it out of the wallet if you just want to carry the phone without the purse. 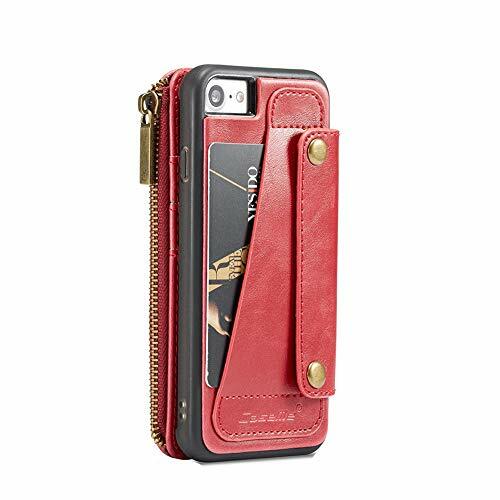 ❤[Safe Zipper Closure Phone Case] -This purse iPhone case will keep your iPhone ,credit cards and cash more safe.To prevent fall with zipper closure design. ❤[Card Slots Design] - Unique Card slot design allows you to carry your cards and money easily and conveniently.Precise cutouts design makes all ports, buttons, cameras and microphones be accessible easily without removing the case. ❤[After Sale Service] - If any product quality problems,feel free to contact us at any time,we will give you full refund or re-send new one to you.Welcome to shopping from Sammid store.